"If you are considering a website for the very first time, or if you have a website that needs a fresh updated look, I can help you. Today websites aren't an option . . . they are a necessity!" Autumn Web Design is pleased to offer personal and small business web design. 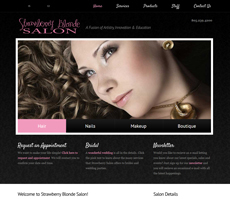 I take great pleasure in creating eye catching pleasing to look at sites. However, my particular area of expertise, is making the back end of your website - the part you don't see - work as hard for you as what you see on the screen. I have a solid background in search engine optimization, I will assist you in zeroing in on your target audience, and I will help you to choose your keywords wisely. Many web designers concentrate on just "looks", however I will give you a solid foundation so your website performs as good as it looks. I believe that depending upon the situation, simplicity can be a good thing. Flashy intros and splashy landing pages may look exciting, however if you need a site that page ranks well, they are not search engine— think Google, Bing or Yahoo friendly. On the other hand if you need a portfolio or informational type site to send your customers to, a photo gallery might be just the ticket! I will help you through the myriad of decisions like this that you will need to make, and I will help tailor your site specifically to your needs. Your website is your face to the public. I can help you to tell your story. Together we create the "feel" you want to present to your potential customer. A way for them to connect with you. A bridge between their home and your business. I live in northern San Luis Obispo County west of Paso Robles and Templeton. This area has been my family's home for 5 generations. I am happy to meet with north county clients in Atascadero, Santa Margarita, Cambria, Cayucos and Morro Bay as well. I believe a good solid website shouldn't be expensive. You will find my pricing competitive and affordable. Together we can achieve your online marketing goals! Thank you for considering me as your web designer. 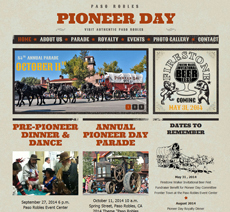 I have done websites for many local small businesses and community organizations including the Paso Robles Pioneer Day Committee and the Templeton Historical Society. Please click the button below to see examples of my work.. 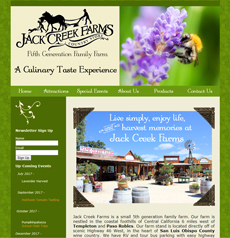 I created and host the website for Jack Creek Farms, a local farm market my family owns in San Luis Obispo County located near Paso Robles in Templeton California. Click the button below to read more about hosting services and fees. This is an example of a website that I recently redesigned for a business in Paso Robles. Click the button below to see before and after photos and to learn more about my redesign services.